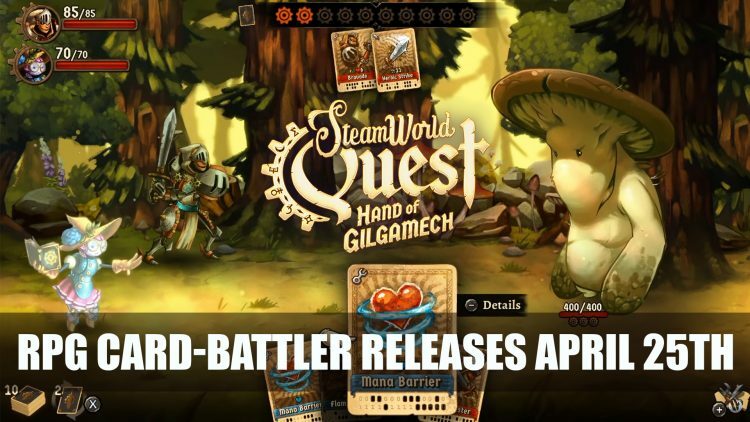 The upcoming card brawler that combines RPG turn-based battles with card play SteamWorld Quest: Hand of Gilgamech get a release date for the Nintendo Switch for April 25th. The next entry for Image & Form’s SteamWorld series is The Hand of Gilgamech, which takes things a slightly different direction after SteamWorld Tower Defense and SteamWorld Dig 1 and 2 as well as turn-based strategy SteamWorld heist. 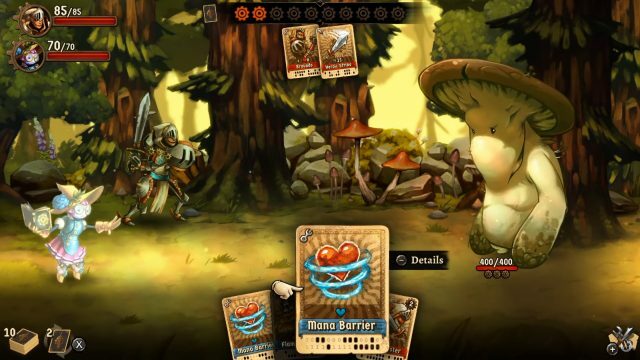 Still taking place in the SteamWorld universe, the title sets to focus heavily on story elements but combat uses card-based battling to take down the host of towering toadstools, dragons, magic knights and other fantastical creatures. Every round players will gain a number of cards from a deck, these cards can contain a range of different elemental attacks as well as more defensive actions which are played out in a turn-based moves. There will be plenty of surprises from the peek at the battle system we get from the trailer and of course RNG will play its part. SteamWorld Quest will release exclusively on the Switch “for the foreseeable future” according to Image & Form on April 25th for $24.99 / €24.99 / £22.49. If you want more RPG news be sure to check out next Hellpoint New Trailer Released For PAX East 2019. Don’t miss out on Morrowind Available For Free Until March 31st. You can also check out the RPG releases for April in Top 5 Upcoming RPGs April 2019 (Dragon’s Dogma, Final Fantasy X/X-2, Vambrace Cold Soul And More! ).